How Far is Chaitanya Kiran Venkata Sai Gardens? 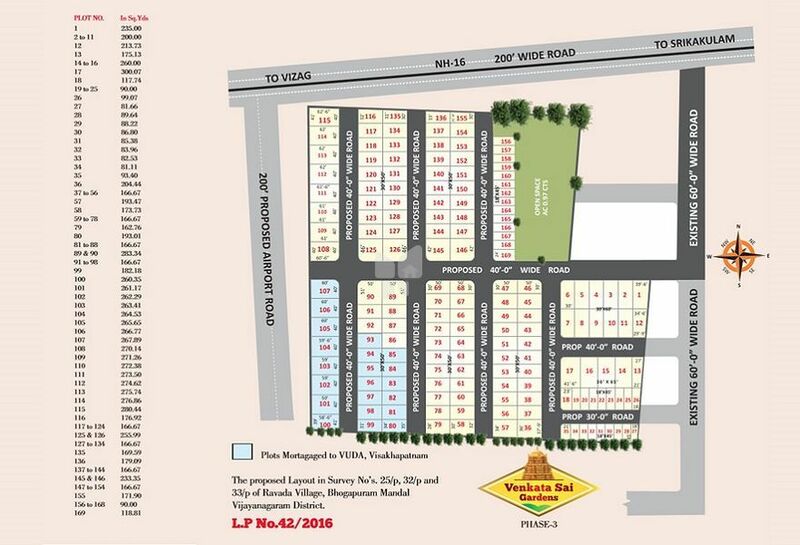 The Venkata Sai Gardens is located Savaravilli - Ravada Village at Bhogapuram, close to International airport and on the Vizag-Srikakulam National High way - 16 in an upcoming neighborhood that is verdant and well-connected. The rapid development in and around our Real World will make the area even more accessible than before. Venkata Sai Gardens is now considered a promising location for buyers in the real estate sector in Visakhapatnam. 9.6 acres of soothing greens. A luxury few can afford in today's world. A picture-perfect environment for your family to flourish in. And for you to live stress free. It’s perfect green retreat. The Real World. A location that offers great connectivity to every part of the city, is only the beginning of what makes The Real World so special. The property’s design makes optimum use of natural resources, and enhances the living experience for its residents in every way.